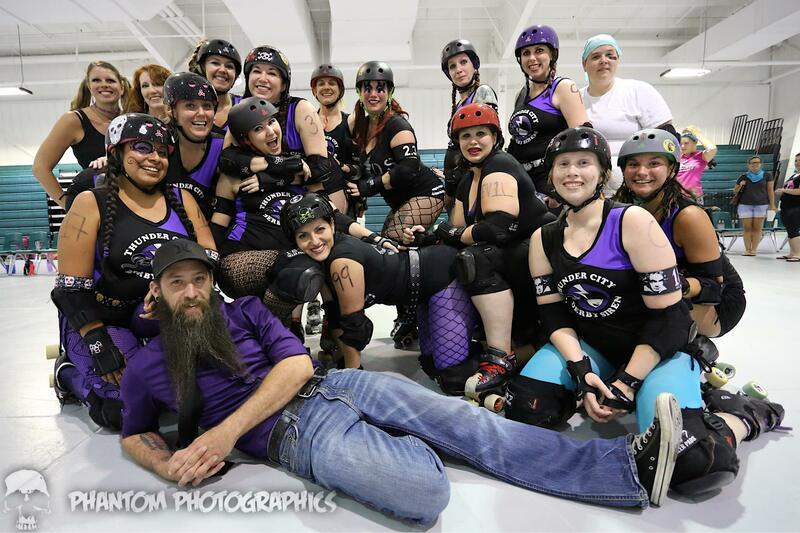 What makes us want to be on a roller derby team? I’ve been thinking about this topic for months. Tried writing a blog a few weeks ago and I couldn’t actually translate my feels into a coherent written structure. I’m not talking, “Why do we love the sport?” or “Why do we join a league?” But rather, what drives us all to make a travel team? Or be drafted to a home team? 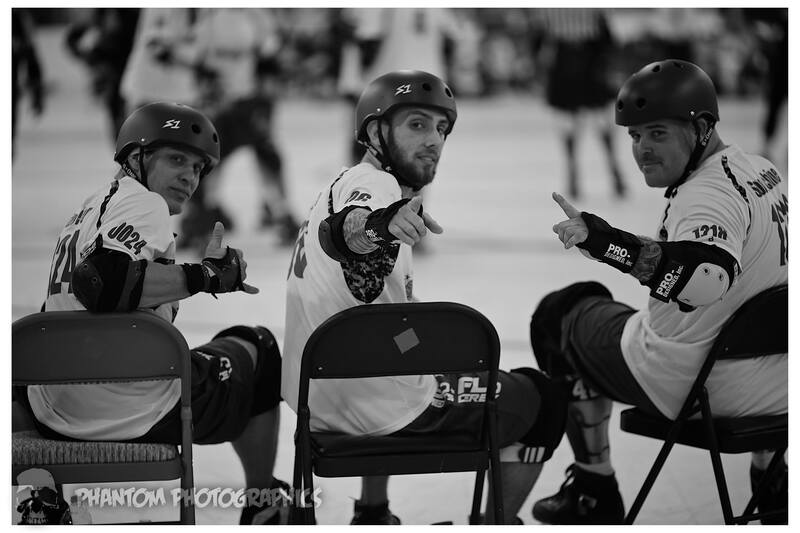 Before my home league’s travel team votes on the charter, each skater gets to talk about what they had to offer, and why they wanted to be a part of the team. It was interesting to hear the answers from those dropping their name in the hat for the all-stars versus the b team. There was quite the difference in theme of statement from one team to the other. I realized that those going for the the all-stars had a much different theme of answer than those wanting to be on our b-team. It got me thinking more and more about WHY we want to play on teams so badly. They want to travel. They want to play other opponents. They want to prove themselves. 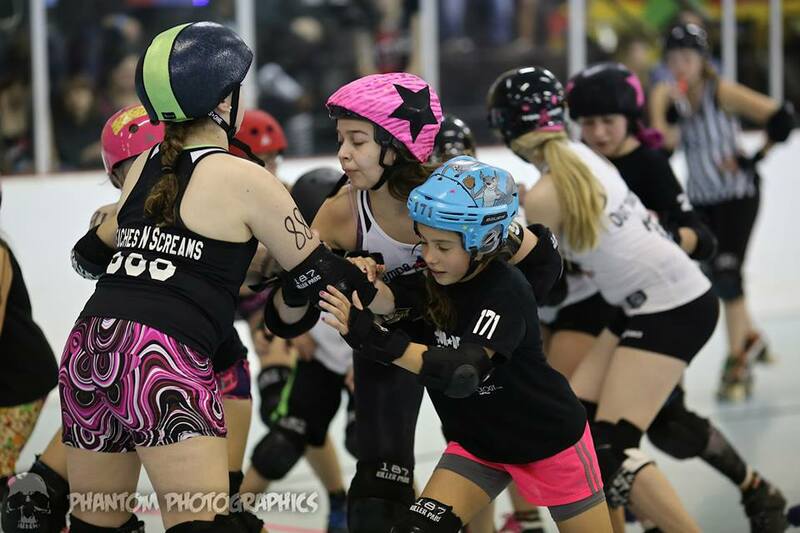 Playing in bouts is a bit about the attention of everyone watching you, but should also be about the practical applications of skills and drills. Bouts are the place we test ourselves against an opponent to see if we have improved. I have been on many teams at this point, and I can say that being in a bout means different things based on the culture your team builds. 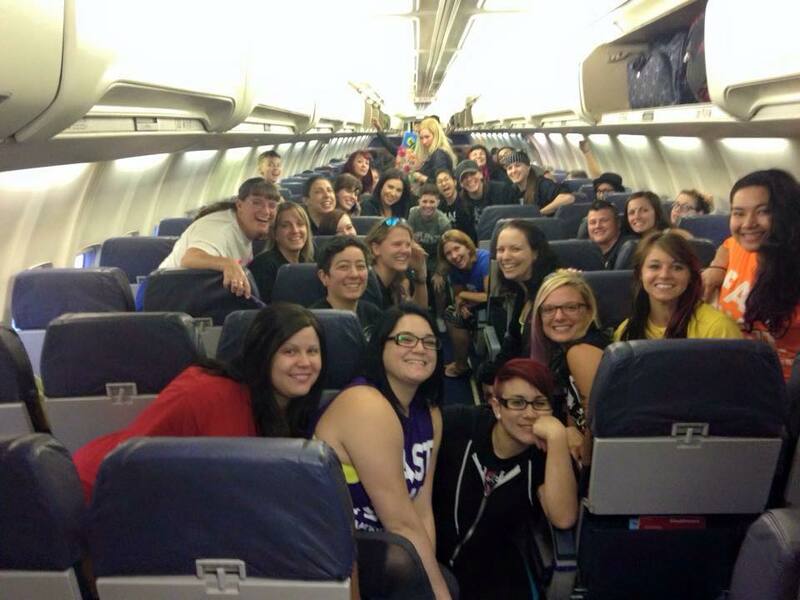 Tampa Roller Derby on our way to Texas for a weekend of the derbs. Some teams value bouts strictly as ranking potential. Some teams just want to enjoy the fun of the sport; including all that boutfitting, production shenanigans, and after parties offer up as they play against your family from a different city. Some teams want to try out what they have been drilling in practice, to see how their strength and mobility have improved. 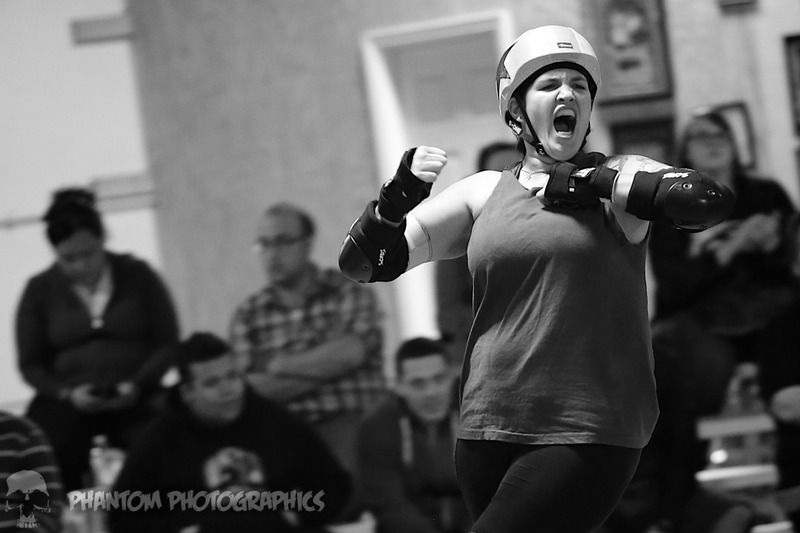 Some teams play bouts just to raise money in their home venue and have their friends and family come and watch them do the thing that they love. Some teams work really well together on bout day, and everything is low stress and fun. Some teams may work together, but tension runs so high that benches become explosive. Maybe a team just has that one player that yells at refs or complains about calls, and because they’re a “superstar”, the behavior isn’t squashed. That behavior spreads to the rest of the team, and the bench becomes a 3 headed monster. Maybe the bench coach is that one superstar yelling. Or maybe everyone loves each other and the sport so much that everyone is just focused on the fun of the game. I should mention that teams don’t always take the time to create a culture. Some are self-aware enough to create a mission statement of culture to promote and strive for. 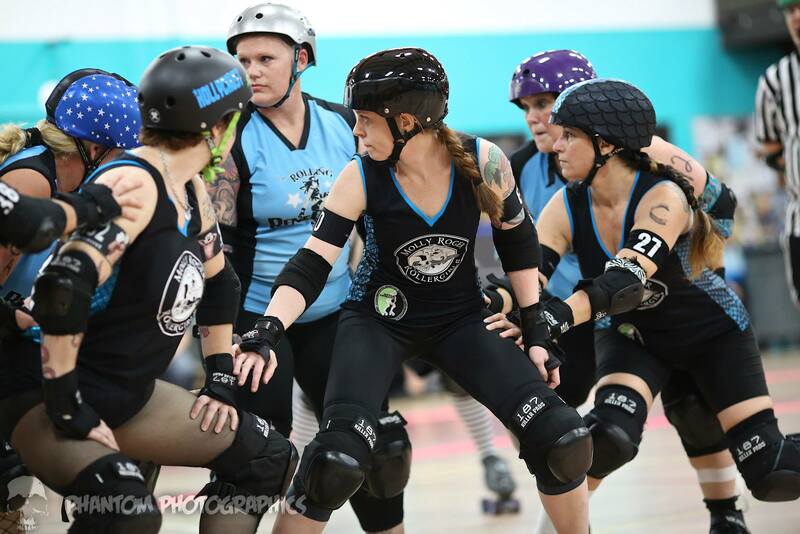 Most derby teams, I have seen, do not even understand that a culture has manifested through coaching habits, attendance enforcement, and superstar treatments. 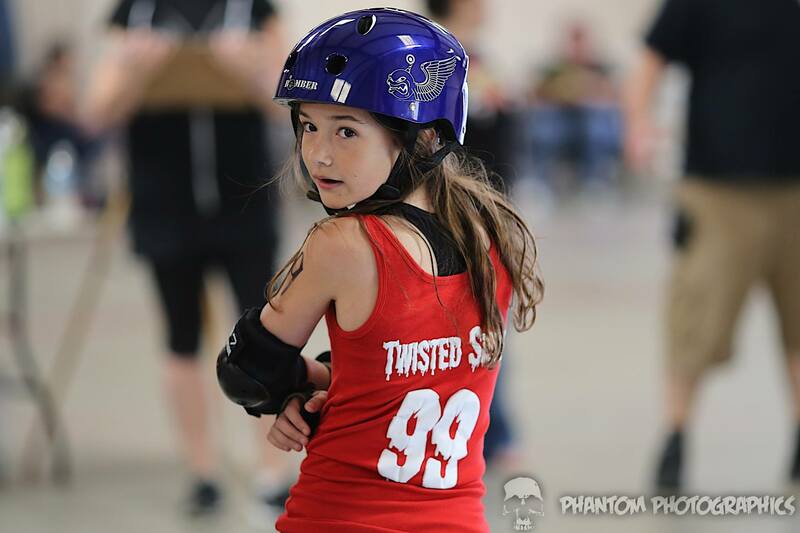 Sometimes an awesome derby culture of fun and support is born organically through individuals gathering for a common purpose. Too often, I have seen leagues succumb to the expectation that certain players get praise and playtime, and those players can do and say no wrong. Everyone else are plebeians and must fall in line and teach themselves. If you just had an ‘ah-ha’ moment, recognizing that your team has not given itself a Culture Goal (or worse, you’re in one of those cancerous league situations! ), maybe it’s time to sit with your steering committee and decide on some core values for the league and individual teams. 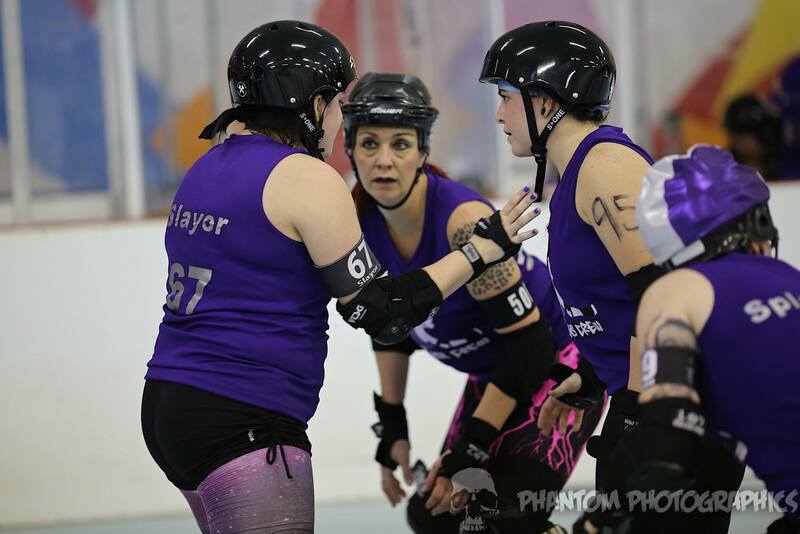 Many cultures have this idea rooted into their core values without realizing it: “You will play bouts when you are on the travel team, and we do this to play in bouts.” So the skater immediately begins lobbying for a spot on the travel team, despite dedication. Despite training. Despite safety. Despite their willingness to play on a team. Endgame, we are taught, is: PLAY IN BOUTS. You should not want to be on a team to play bouts. 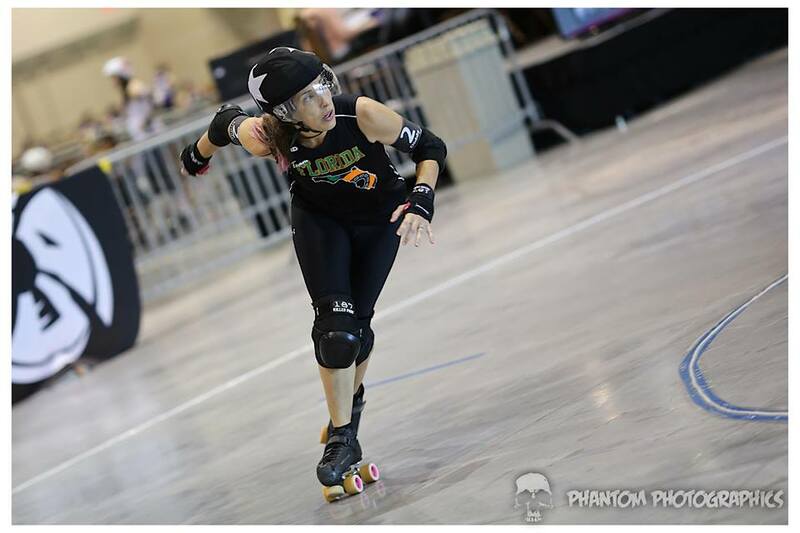 You should want to be on a team to practice roller derby. 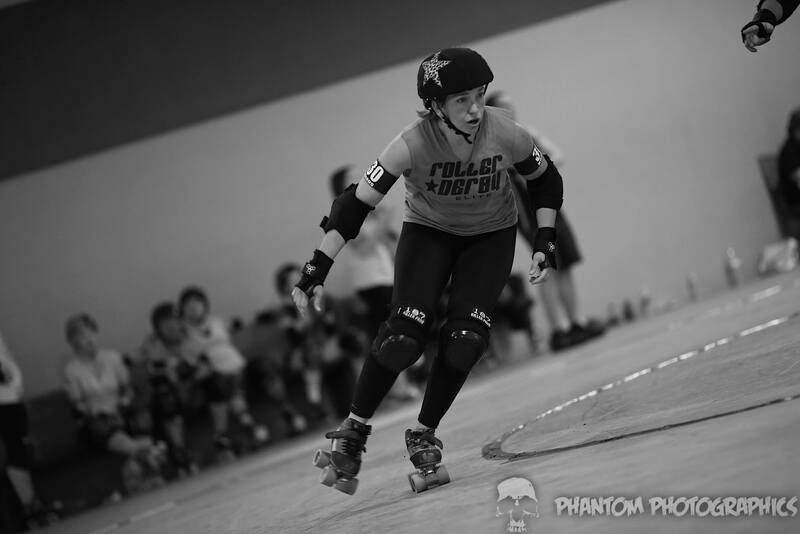 You should want to be on a team to PRACTICE roller derby. I mean we need to adjust our mindset. Bouts are fun, yes. Bouts are what count towards our ranking, absolutely. 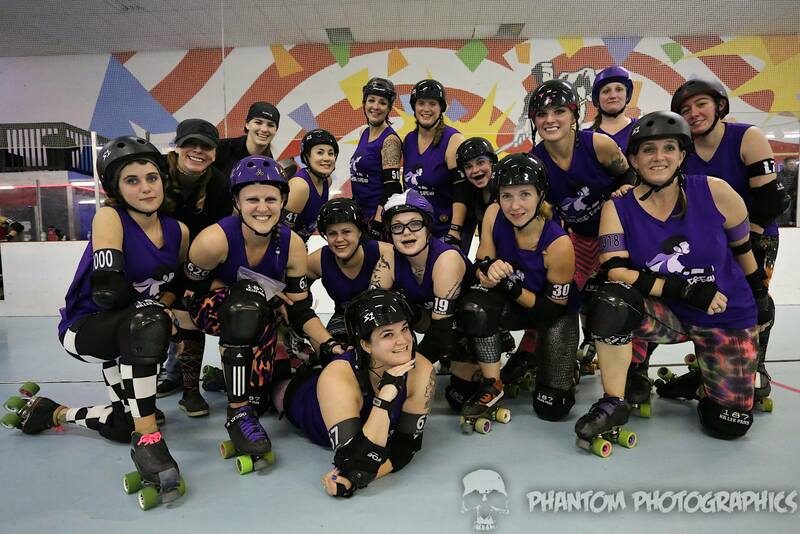 Bouts are the culmination of our practice time and work together, yes. But it’s just 60 minutes on the clock. I am not saying we should undervalue bouts, or want to play in them less. Rather, I think we all need to shift focus to being excited for practice time. 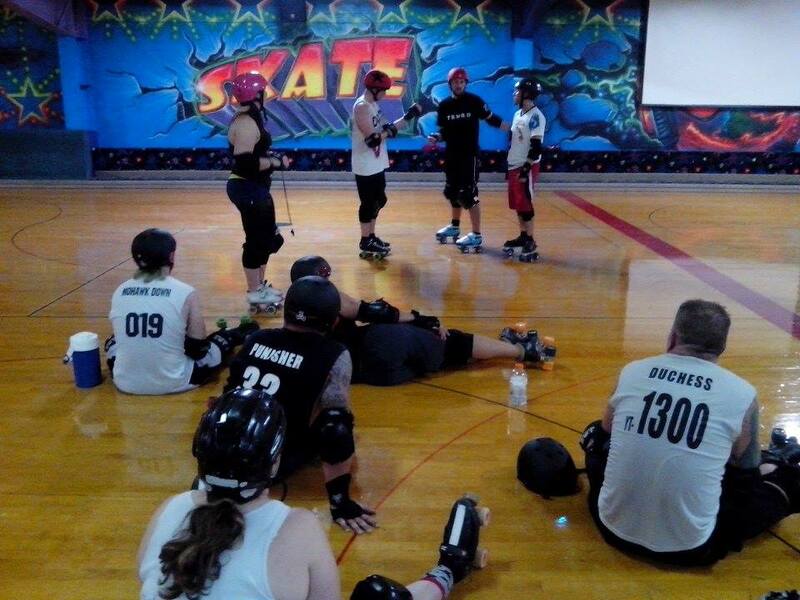 Most of Roller Derby practices at least twice a week. You are spending far more time with your team in drill, skill, and endurance situations than you are in bout situations. I do my best to not even worry when my next bout is, because my intensity does not change from practice to practice. I do not show up with different intentions or drive when I know a roster is being decided that night. Every practice is 110%. I pay for this time on the track, so I am going to love it and use it. If I am put on a roster, great! If I’m not, it’s OK because I have practice again Sunday night. I know I won’t be short on derby for the weekend. 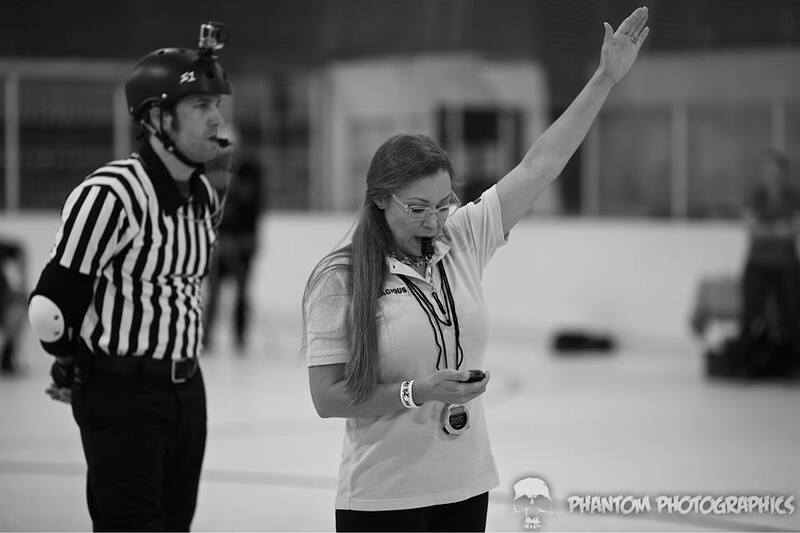 Too often skaters put so high a priority on bout day that all they think about is making the roster. 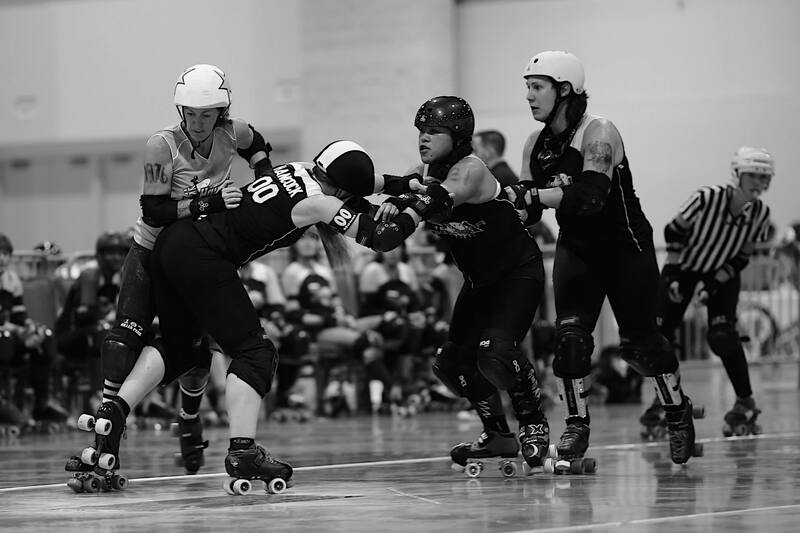 They show up just in time, and with just enough intensity to play in the bout. 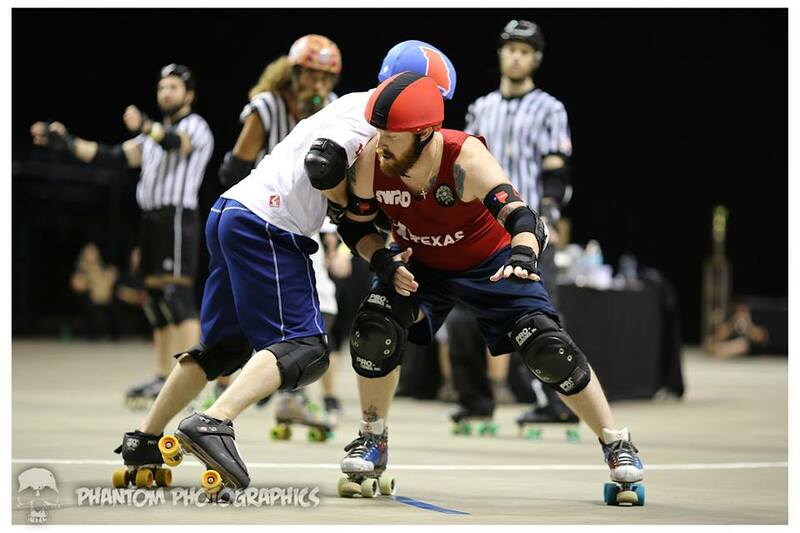 If we could shift the prevailing thought in roller derby to be less “BOUT DAY!! !” and more “PRACTICE DAY! !” think of how many people would value their drill time more? How much would attendance change? 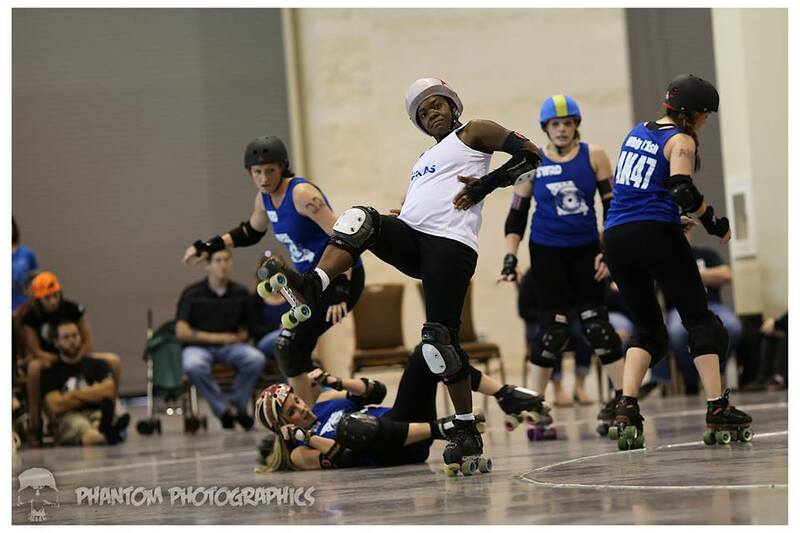 Bout day is a priority because Roller Derby puts an emphasis on it. To me it is just as fun and invigorating to stop Tazmaniac in a wall drill in practice, as it is to stop her in a bout day situation. Putting our focus on the awesome of practice means more excitement, which means more bodies, which means more opportunities for strategy and teamwork. Which will, unsurprisingly, lead to MORE SUCCESS ON BOUT DAY. When practice time is the center of attention, you can focus on goals as an individual and as a team mate. You can put your energy into what is being practiced instead of worrying about making the next roster. When your focus is practice, not bout day, you think about your daily cross training differently, and with the mind of making practice better. You know you’re going to be doing five minute jams at practice on Monday, so what can you do on your off day, Saturday, to improve your conditioning for it? Thinking about that every week builds into months and then years of cross training, almost by accident! When you focus on practice, you get to struggle and laugh with all of your team mates in all the different situations. You get to love the sport and the nuance of the sport. When our focus is bout day, we get caught up in the spotlight of it. We get caught up in the pressure of performance, but when we focus on practice day, we are all Superstars, and egos are left at the door because no one is watching. When our focus is practice, we work hard for two hours at a time. If we can work hard for two hours, we can definitely work hard for our piece of 60 minutes. Practice is the proving ground for bout day. Practice is where we get to push ourselves and learn. Practice is where we get to high five our family and celebrate victories. Practice is where we get to tell our friends that bad days happen, and that one bad practice will not equate to a lifetime of failure in the sport. Practice is where we get to put our head down and do work. If your heart doesn’t beat with excitement when prepping for training (sometimes up to 5 in a week), why are you in the sport? Glory should come from within. Achievement should be felt when doing something awesome with your team mates. This is no longer an individual sport. No longer should we put the spotlight on those who have talent, who don’t come to practice or fundraisers or do committee work.The spotlight should be on the weekly warriors who sweat with each other and create the bonds that only practice time can. Practice IS our sport. I feel like the leagues that recognize and promote that in their culture, have the most success over the long term. Stop counting down to bout day. Start counting down to Monday. Tampa Bay Men’s listening attentively. For coaching and nutrition help for all athletes, or to ask questions, propose blog ideas, or just give feedback, leave me a comment, or drop me a line at DerbyAmerica@gmail.com. I’m always booking league coaching for all levels. 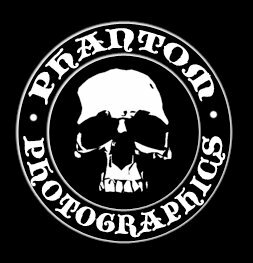 Don’t forget to visit Phantom Photographics’ Facebook to purchase photos and ask him about his cool shirts.